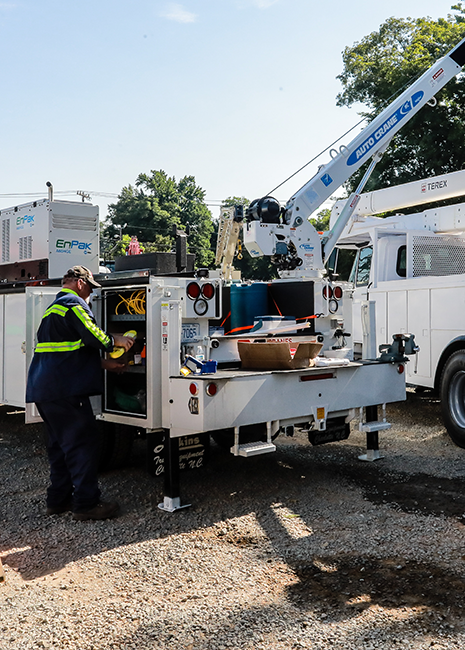 ML Utilities Services is specialized in electrical utility equipment repair. It is our goal to provide you the best service possible. Electrical problems are becoming more common on aerial devices, caused by anything from component failure to improper installation. We are experts at tracking down electrical problems and getting things working correctly. One of the most common problems with aerial devices is the hydraulics. Problems can occur from physical damage, lack of maintenance, heat or natural deterioration. From a simple hose replacement to hydraulic cylinder repair, ML Utilities can take care of your hydraulic repair needs.